• The cattle drive was just a historical prelude to today's mesquite-smoked BBQ. • Texas is still a republic. Iced tea is the "national" drink. Don't think on a statewide-level. • You are never too young to learn golf. You are allowed to play with your boots on. • If you don't live there, a pilgrimage to San Antonio is required once a year. Today, Texans and visitors from all over the world, converge on the Hill Country and San Antonio in the spring to enjoy the world-class golf opportunities. The Texas wildflowers -- bluebonnets and Indian paintbrush -- plus the lush green hillsides from heavy spring rains, are just added bonuses. While Phoenix/Scottsdale and Myrtle Beach proclaimed themselves as the greatest golf destinations on earth, both with more than 200 area courses, San Antonio also became a golf destination. Eight million annually visit the Alamo City. Texas golf? There's no golf history like Texas golf history. Ben Hogan, Byron Nelson, Ralph Guldahl, Jimmy Demaret, Babe Didrickson Zaharias, Jack Burke, Jr., Lloyd Mangrum, Harvey Penick, Lee Trevino, Don January, Miller Barber, Ben Crenshaw, Tom Kite, Scott Verplank and Justin Leonard, to name only a few, are names imprinted on Texas golf. And San Antonio is at the heart of the history. When you tee off at San Antonio's Brackenridge Municipal Golf Course you can't help but feel it's special as one of the birthplaces of the PGA Tour. Built in 1915 by storied golf-course architect A.W. Tillinghast (also designed Baltusrol, Winged Foot and Inverness), it hosted one of the first PGA events in the formative days of the tour. Mike Souchak's 72-hole scoring-record of 257 in the 1955 Texas Open here was a long-standing PGA Tour record. Today's Senior Tour was born at Austin's Onion Creek Country Club. What San Antonio and the Texas Hill Country has that attracted so many Texas golf greats is beautiful winter weather. March in San Antonio means 70-degree days. The San Antonio Convention & Visitor's Bureau does as good a job as any CVB in the country promoting the city as a golf destination. In fact, every big-city CVB outside of Las Vegas and Orange County/Newport Beach needs to call the San Antonio CVB and memorize their strategy. Jack Parker, owner of Tapatio Springs and The Quarry, actively promotes his facilities to Canadians, who love to come south when there's snow on the ground up north. But what San Antonio has now, that it didn't when Mr. Hogan liked to come here in the fall and winter to fine-tune his game, is the rugged, rocky Hill Country terrain that makes golf even more interesting. In the old days it wasn't as easy to build golf courses with such elevation changes and with millions of rocks protruding from the soil. In the last 10 years new golf courses and resorts have been popping up around San Antonio like those wildflowers of spring. Some naysayers think the golf explosion in San Antonio just might fizzle. That's very unlikely with the grade-A quality of the new daily-fee courses designed by the greats of modern golf-course architecture. "I think you could say that in 2001 San Antonio probably has slightly more supply than demand," said Charlie Kent, director of golf at the Hyatt Hill Country Resort, "but that only means we need to keep promoting San Antonio golf. A study showed there were more than two million rounds played in 1999 and that increased only slightly in 2000, but I think it's just a matter of the area's courses getting a smaller piece of the pie with so much variety now. "In 1999 Pecan Valley reopened after $5.5 million in renovations. The Golf Club of Texas opened in December 1999, the Buckhorn in January 2000 and Olympia Hills a month later. Woodlake and Rebecca Creek also got new ownership in 2000." The number of golf courses in the Greater San Antonio area is nearing 60 and that's twice as many as in 1989 and includes five military layouts. One could design his own golf package that ranged in price from expensive to bargain basement. The golf course growing pains aren't finished in San Antonio, either. The PGA recently announced plans for two new courses as part of a PGA Village. Pete Dye and Jack Nicklaus will design the layouts near Highway 281 and Loop 1604 near Evans with a 500-room Marriott Resort included in the plans. The PGA of America conducts the Ryder Cup Matches and the PGA Championship. "I wouldn't be surprised at all if there will be a major championship in San Antonio some day in the near future," Kent said. Arnold Palmer was in town in March opening his new design -- The Palmer Course at La Cantera. This dramatic layout will be a must-play on any resort golfers list. As you play this new course you will find yourself continually reminding yourself you are in Texas, not on a Colorado mountain course -- the elevation changes are awesome and challenging. It's a Kodak moment at every turn. The mission-styled clubhouse, with bell tower, could be one of the most beautiful in the country. "The climate is just ideal here for year around golf," said Palmer, the PGA's legendary king. "Texas has always been home to lot of golfers and greats of the game. And the terrain is wonderful for golf." Palmer and La Cantera also dedicated a bridge on the par-3 No. 4 hole to his late wife Winnie, with a pledge to find a cure for cancer, something that has touched Arnie with his own prostrate cancer and also a daughter, who has battled the disease. And how about new courses that are more affordable? The owners of Foresight Golf, LLC, in Boerne have announced plans for a new golf course in south San Antonio. The Republic will have weekday green fees of $35, including cart, and the price will be $45 on weekends. Construction on The Republic will begin in November and it's location is Military Drive near Highway 37. Salado Creek, which runs through the Pecan Valley layout, will also be a feature of The Republic. Foresight also owns Buckhorn in Comfort and The Bandit in New Braunfels. River Crossing Golf Club is another new addition to San Antonio golf scheduled to open in the fall of 2001. It's located on Highway 281 North and will feature an island green, five sets of tees and elevation changes. 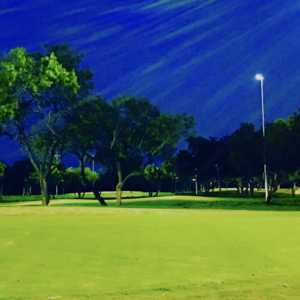 A new Austin area course, located in Hutto, is The Golf Club at Star Ranch. Grand opening is scheduled for April 7. Star Ranch is a 7,000-yard, par-71 daily-fee course, designed by Austin's Bechtol & Russell Golf Design and Carter Morrish of Dallas' Jay Morrish & Associates. Arnold Palmer Golf Management will run the new club that features white sand bunkers, gently rolling terrain, two lakes and rolling greens. Call 512-252-GOLF for more information. Brackenridge Park Golf Course: With the distinction of being the first 18-hole public golf course in Texas, Brackenridge Park Golf Course (2315 Ave. B, 210-226-5612) was also the site of the first Texas Open, played in 1922, and much of the original course remains in place today. There are plenty of water hazards, bunkers and 100-year-old pecan and oak trees along its fairways ensure a good test of your skills. Cedar Creek: One of San Antonio's newer municipal courses, having opened in late 1989, Cedar Creek Golf Course (8250 Vista Colina, 210-695-5050) has a reputation for excellence. In a recent poll, Texas pros placed it among the state's top 20 public courses. Located on the city's northwest side, par-72 Cedar Creek demands 6,660 yards of accuracy from its blue tees. Mission del Lago: On San Antonio's south side, Mission del Lago Golf Course (1250 Mission Grande, 210-627-2522) features numerous sand traps and water hazards. This par-72 course measures 6,200 yards from the forward tees but stretches to 7,285 yards from the back, making it one of the longest - if not the longest - of San Antonio's public courses. It's "sneaky tough," with rolling terrain that provides a number of deceptive elevation changes. Olmos Basin: Golfers at Olmos Basin Golf Course (7022 N. McCullough Ave., 210-826-4041) know they're in for a battle right off the first tee. The first three holes are the toughest the course offers, so locals figure if you can make it to number four with your scorecard intact, you're in for a pretty good day. Olmos Creek comes into play on 14 of the 6,500-yard, par-72 course's 18 holes. The Quarry is just across Highway 281 from Olmos Basin. Pecan Valley Golf Club: Now part of the American Golf's family, it opened in the early 1960s as a private club. Pecan Valley Golf Club (4700 Pecan Valley Road, 210-333-9018) now ranks as one of Texas' top public courses. A par-71 layout, it's long, measuring 6,571 yards from the middle tees, and tight. 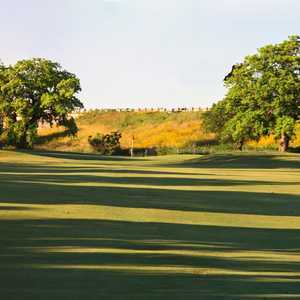 The course is characterized by gently rolling terrain and huge pecan and oak trees. It was once home to the Texas Open and hosted the 1968 PGA Championship in which Arnold Palmer had a chance to win going into the final hole. The course is set to host the 2001 U.S. Amateur Public Links Championship. Read more about this course in GolfTexas.com in the near future. The Quarry: Located about halfway between downtown and the city's airport off Highway 281, the Quarry Golf Club (444 E. Basse Road, 210-824-4500) is one of the most unusual golf courses in the world. The entire 18-hole, par-71 course sports a "Scottish links" appearance, but the back nine usually attracts the most attention. That's because it is built inside an old rock quarry. The Quarry measures 6,200 yards from the championship tees. Read more about this course at http://www.golftexas.com/holland46.htm. Other area San Antonio daily-fee courses include: The Bandit in New Braunfels (830-609-4665 or 888-923-7846), Canyon Springs (210-497-1770), Willow Springs (210-226-6721), Tapatio Springs in Boerne (210-698-3539 or 800-999-3299), The Buckhorn in Comfort (830-995-5351), Olympia Hills (210-945-GOLF), The Golf Club of Texas at Briggs Ranch (210-366-4676), Hyatt Hill Country Resort (210-520-4040), Westin La Cantera Resort (210-558-4653 or 800-446-5387), Comanche Trace Ranch in Kerrville (830-895-8500), Rebecca Creek (210-497-7100 or 830-885-7495), Northern Hills (210-655-8026), Woodlake Golf & Country Club (210-661-6124) and Silverhorn Golf Club (210-545-5300). What To Do In San Antonio: Start with The Alamo. Can you believe one recent tourist said: "The Alamo is a great attraction, but why did you build it downtown?" This mission fortress seems tiny, but the Alamo mystique is larger than life. For an introduction to the Alamo saga, see the 45-minute documentary Alamo ... The Price of Freedom at the San Antonio IMAX® at Rivercenter (210-225-4629). Every April San Antonio hosts Fiesta, a party of fireworks, parades and dancing lasting for two weeks. It's San Antonio's own version of Mardi Gras. Since 1891, this rollicking, multicultural affair has paid joyous tribute to the people from every corner of the globe who give San Antonio its unique international flavor. Call 210-227-5191 for full details. The River Walk - El Paseo del Rio - is definitely a must-do stop. Cottonwood trees still line the banks the way they did in the 1760s, when Mission San Antonio de Valera (the Alamo) was first established. In fact, the word alamo means cottonwood in Spanish. Today, this mile-and-a-half of boutiques, nightspots and restaurants are the heart and soul of downtown. Strolling the River Walk by day or night, you'll enjoy some outstanding food and great people watching. For golfers, The Six Flags Theme Park, Fiesta Texas, (210-697-5050), is right next to the Westin La Cantera Resort. It's a mere 15 miles northwest of downtown San Antonio. You can see the theme park and Rattler roller coaster from the fairways of The Resort Course at La Cantera. SeaWorld of San Antonio, (10500 SeaWorld Drive, 210-523-3611), includes famed killer whale Shamu, roller coasters such as the "Steel Eel" hypercoaster and "Great White" inverted coaster, the Lost Lagoon water park (bring your swimsuit! ), Shamu's Happy Harbor children's play area and more. Where To Stay: You can't beat the Westin La Cantera. It's the most spectacular new hotel in Texas and it has 36 holes of championship, spectacular golf. Check out: http://www.golftexas.com/holland47.htm. Po-Po Family Restaurant, since 1929, is pure Texas, from the chicken-fried steak, cream gravy and homemade biscuits, to the almost 2,000 commemorative plates that hang on the walls. Take the Welfare exit from I-10 north. It's also just a few miles north of Tapatio Springs Resort and Boerne. Reservations are welcome for dinner at 830-537-4194. The original building was built as a dance hall in 1929 by rancher and dairyman Edwin Nelson with just three gravel roads in the area. The restaurant has changed hands several times with current owners Jerry and Jenny Tilley taking ownership in 1983. Since 1963 The Little Red Barn Steakhouse has been a San Antonio tradition serving more than 1,000 steaks per day without sacrificing attention to detail, proudly standing behind every steak. Everything is fresh, all meat is butchered daily and the salad dressings are homemade every morning. The Little Red Barn Steakhouse is located at 1836 South Hackberry in San Antonio. Call 210-532-4235 or 888-944-4237. Look them up on the internet at http://www.little-red-barn.com or e-mail them at info@little-red-barn.com. Information on San Antonio? Look up http://www.SanAntonioCVB.com. For a free golf guide to San Antonio call 800-447-3372. The San Antonio Convention & Visitor's Bureau is located at 203 S. Saint Mary's Street, Second Floor San Antonio, Texas 78205. E-mail them at sacvb@sanantoniocvb.com.